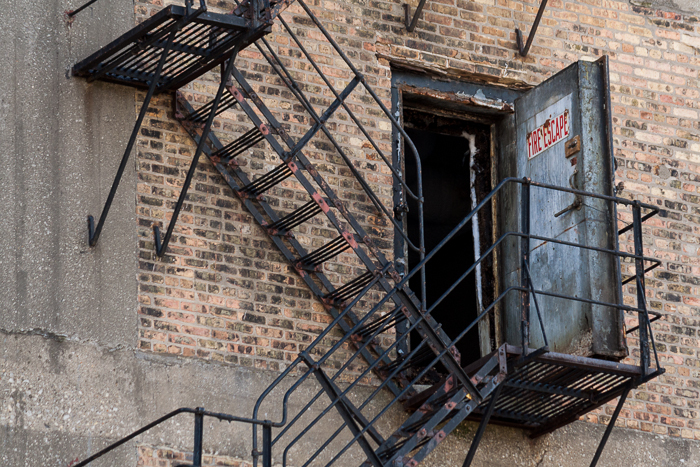 A very thick door on the former Fulton Market Cold Storage warehouse in Chicago’s West Loop. I believe this building is being converted over to residential or commercial space. There are currently no windows and only these (and another set) of fire escape doors. The building is many (at least 10) stories tall.